Big News! The HSC has official NON-PROFIT Status! Hey Hudson Sloop Club supporters! We are so excited to announce that we have finally received our official non-profit status (501c3). We now qualify for local, state and government grants, and we can take tax deductible donations from individuals and foundations! This is a huge moment for the Sloop Club, our non profit status will enable us to grow as an organization in many ways. We are so grateful to Kristal Heinz for all her legal help! If you are interested in making a year-end, tax deductible donation, contact us at hudsonsloopclub@gmail.com or donate through our donate page! In addition to our 501c3 application, we have had a busy year! 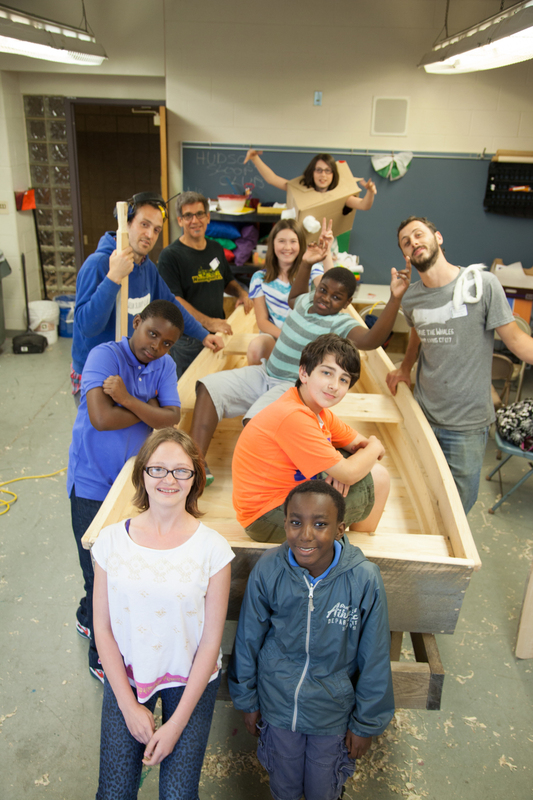 We launched a community sailing program, continued our free after-school boat building program at the Hudson Intermediary School and hosted our third summer of Hudson Sloop Club Summer Camp. This summer the HSC launched a series of community sailing programs at Hudson’s waterfront! We offered a variety of classes from “Free Community Sails on Sunday” to “Intro to the Navigating the Hudson River” and “2 and 4 Hour Sailing Classes.” All classes were either free or offered for a sliding scale fee. Through our sailing program we reached over 150 new and experienced sailors, young and old! We are excited to expand our sailing program in 2016! Stay tuned! 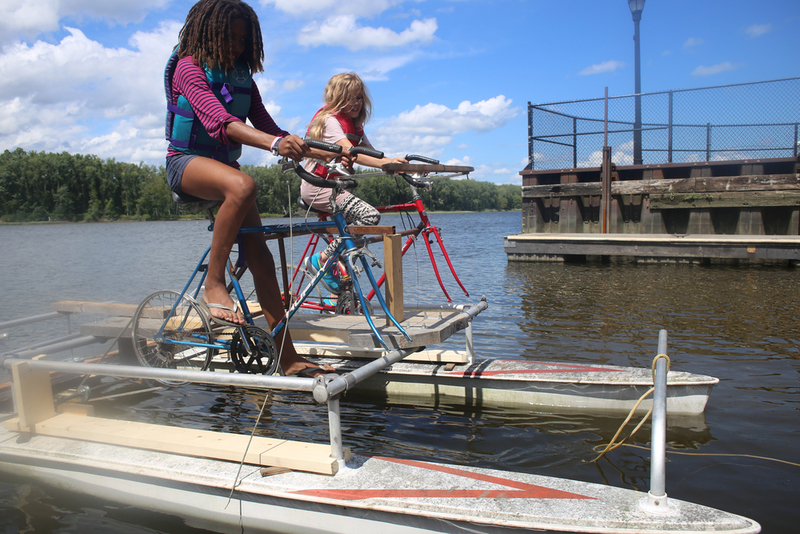 This year at HSC Summer Camp, Hudson children aged 8 to 15 built wonderful experimental watercraft: a bicycle powered catamaran, a fishing and trash collecting river barge, and a coro-plast, battery powered origami skiff all took to the river at our EXPO! 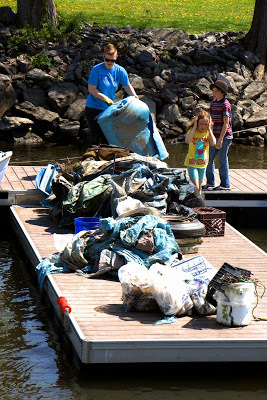 We went to Oakdale to swim and fish, went aboard the Clearwater to learn from the crew and try our luck at casting off the deck, and collected trash 55 gallon barrels to reuse on Middle Ground Flats. We hope to continue to partner with local community organizations like Kite’s Nest, Perfect Ten, Oakdale, the Boys and Girls Club and others in future HSC summer camps! 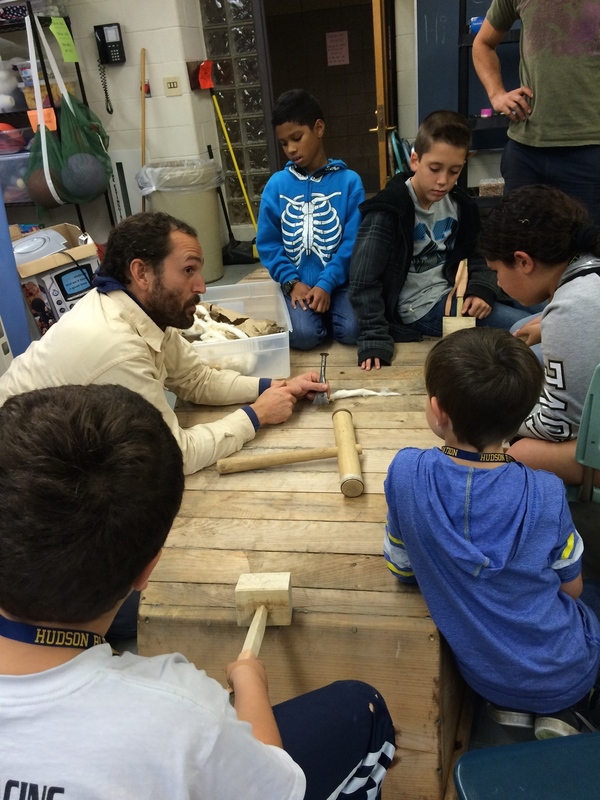 Through an ongoing partnership with the Hudson Bluehawk Nation After School Program the HSC has taught woodworking, boat-building and design skills to over sixty 6th graders at Montgomery C. Smith Intermediary. We value this partnership so much and can’t wait to continue again in the Spring! HSC SAILING WRAPPING UP! LAST PROGRAMMING OCT 3TH AND 4TH! We have had an incredible first season and are going to wrap it up the first weekend in October. Come Sailing with the Hudson Sloop Club! The Sloop Club's sailing program comes to a close for the season with community sailing classes on Saturday the 3rd and FREE Community Sailing on Sunday the 4th! Classes are open to anyone aged 14 and up, and sliding scale pricing is available! Sunday's one hour sails are FREE, first sail leaves the docks promptly at 2pm and last sail is at 5pm at the public docks at the Hudson Waterfront, open to all ages you just have to be over 50lbs fit our PFDs! 2:00-4:00, $40.00: Cruise by the Hudson Lighthouse, Middle Ground Flats and Athens, get a feel for sailing on the Hudson River in this 2-hour sail. 4:30-6:30, $40.00: Cruise by the Hudson Lighthouse, Middle Ground Flats and Athens, get a feel for sailing on the Hudson River in this 2-hour sail. Community Sails 2pm - 6pm, Free!! Want access to the Hudson! Join the Hudson Sloop Club for a Free sail at the Hudson waterfront this Sunday. Sails leave the dock at 2:00, 3:30 and 5:00. Donations not mandatory, but accepted. Email: sloopclubsailing@gmail.com to sign up, or find out more! HSC SAILING CONTINUES! THIS WEEK, TUESDAY SEP 1ST AND FRI SEP 4TH-SUN SEP 6TH! Looking for something fun to do this week? Come Sailing with the Hudson Sloop Club! The Sloop Club's sailing program comes to a close this month with Intro to Navigating the Hudson and a Two-Hour Sail on Tuesday the 1st and with community sailing classes on Saturday the 5th and FREE Community Sailing on Sunday the 6th! Classes are open to anyone aged 14 and up, and sliding scale pricing is available! Sunday's sails are FREE, show up between 2pm and 7pm at the public docks at the Hudson Waterfront! Intro to Navigating the Hudson, 5:30pm - Sunset, $20.00** Learn about the characteristics of the Hudson River, and how to safely navigate your boat. Learn how to predict tides and currents, clouds and weather; learn local shallows and bottom substrates and “Rules of the Road” for your boat and commercial traffic on our area of the Hudson River. Tuesday Sail, 5:30pm - Sunset, $20.00** Cruise by the Hudson Lighthouse, Middle Ground Flats and Athens, get a feel for sailing on the Hudson River in this 2-hour sail. Saturday Sail, 5:30pm - Sunset, $20.00** Cruise by the Hudson Lighthouse, Middle Ground Flats and Athens, get a feel for sailing on the Hudson River in this 2-hour sail. Four Hour Sailing Basics, 4pm - 8pm, $90.00** Catch the sailing bug? Got the itch to learn more? This four hour sail will show you how to rig a boat, sail at different angles to the wind, maneuver, and introduce you to basic terminology. Community Sails 2pm - 7pm, Free!! Want access to the Hudson! Join the Hudson Sloop Club for a Free sail at the Hudson waterfront the this Sunday. Sails are 2 hours or less. Donations not mandatory, but accepted. HSC Sailing Continues! THIS WEEKEND, Aug 1st-2nd and TUESDAY Aug 4th! Looking for something fun to do this weekend? Come Sailing with the Hudson Sloop Club! The Sloop Club's sailing program continues this month with community sailing classes on Saturday the 1st, FREE Community Sailing on Sunday the 2nd, and Intro to Navigating the Hudson, and Two-Hour Sailing on Tuesday the 4th! Community Sails 2pm - 7pm, Free!! Want access to the Hudson! Join the Hudson Sloop Club for a Free sail at the Hudson waterfront the first Sunday of every month. Sails are 2 hours or less. Donations not mandatory, but accepted. Tuesday Night Sailing Rescheduled to Thursday Night, DUE to WEATHER! $20 Tuesday Night Sailing will be THURSDAY this week!! The regular Sloop Club Tuesday Night Sailing and Intro to the Hudson River Class are both moved to Thursday this week due to weather! Classes start at 5:30 at the waterfront. The "2 Hour Sailing Class" is geared toward beginners to encourage new sailors! The "2 Hour Intro to the Hudson Class" is a great way to widen your understanding of the river and learn how to enjoy it safely on any type of vessel! You must RSVP to sloopclubsailing@gmail.com to sign up. Thanks to those who came to Community Sailing on Sunday. For everyone who didn't make it, come join us for FREE afternoon sails Sunday, August 2nd- 2:30pm to Sunset. Sloop Club Sailing classes CONTINUE THIS WEEKEND (& through September!) Sign up now! JUNE SAILING CLASSES WERE A HIT, JULY CLASSES ARE JUST AROUND THE CORNER! OUR SAILING PROGRAM CONTINUES THE FIRST WEEKEND AND THE FIRST TUESDAY IN JULY! WE ARE ALSO EXCITED TO ANNOUNCE THE START OF FREE COMMUNITY SAILS THE FIRST SUNDAY OF EVERY MONTH STARTING SUNDAY JULY 5TH. EMAIL SLOOPCLUBSAILING@GMAIL.COM TO SIGN UP! Community Sails 2pm - sunset, Free!! Want access to the Hudson! Join the Hudson Sloop Club for a Free sail at the Hudson waterfront the first Sunday of every month. Sails are 2 hours or less. Donations not mandatory, but accepted. *All classes are for adults, and kids ages 13 and up. Sailing classes for younger students are in the works! 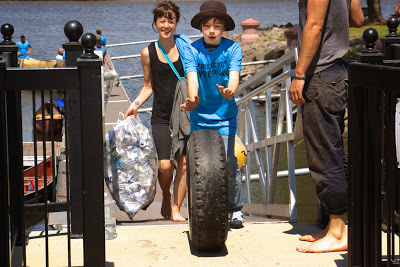 Riverkeeper Sweep! What a haul! 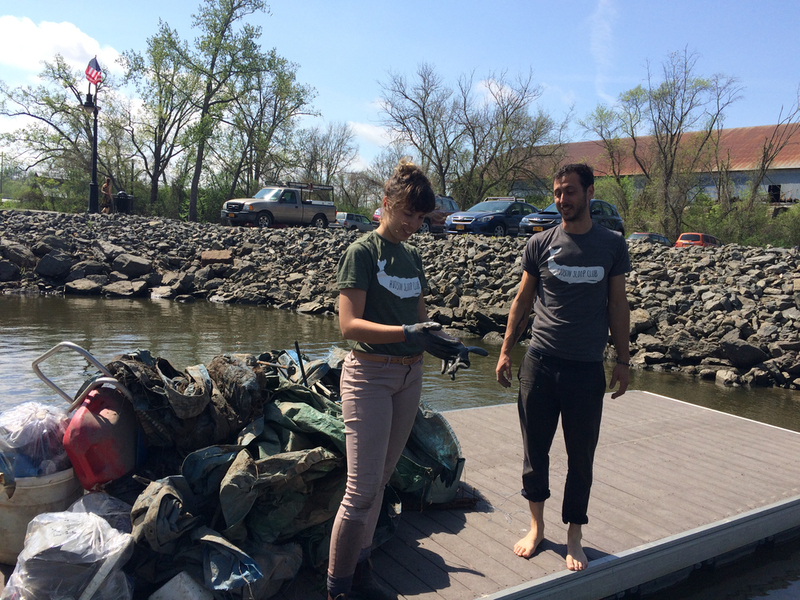 We had a wonderful time cleaning up Middle Ground Flats in Hudson with Riverkeeper last weekend, and an amazing group of volunteers. It was a beautiful day and we pulled nearly two tons of trash off the island! Thanks to DPW for the dump truck, the volunteers for all the heavy lifting, and Riverkeeper for helping us organize this day of service in Hudson! Also thanks to Gossips of Rivertown for helping us publicize and posting these photos from volunteer, Annik La Farge! May 16th and 17th from 10am-6pm. Free at the Hudson Waterfront. Activities for all ages. The Sloop Club will be there, along with many exciting river organizations. We will be offering rides on one of our sail boats, fishing on the shore and working on finishing a wooden boat we built. Join us! 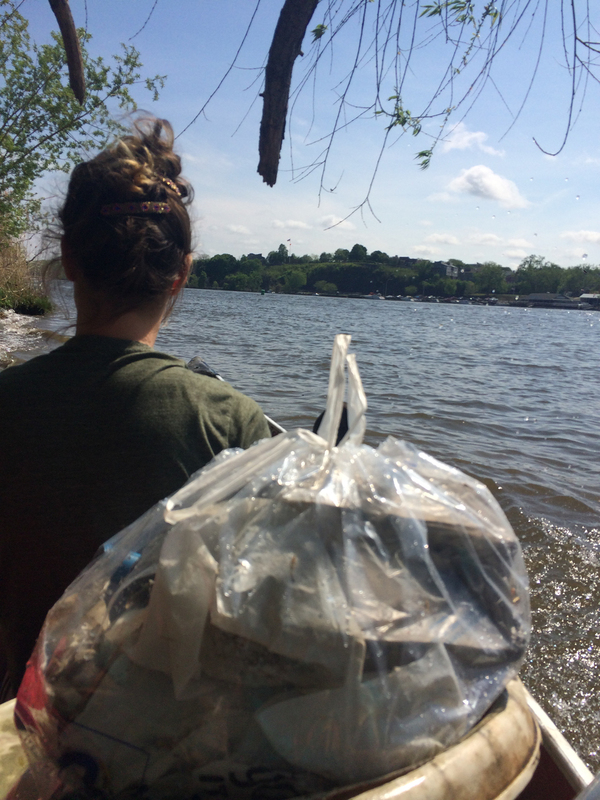 Join the Hudson Sloop Club, Riverkeeper and the Hudson-Athens Lighthouse Preservation Society on May 9th for a cleanup of Middle Ground Flats! BRING YOUR OWN CANOE OR KAYAK: If bringing your own kayak or canoe, meet fellow volunteers at the Stockport Creek boat launch at the end of Station Road at 8:30 AM. PFDs are required. We ask all Sweep volunteers to wear sturdy shoes or boots, clothing that they can get dirty, and to bring a hat, sunscreen, a reusable water bottle and snacks. This site is suitable for elementary-aged children with proper adult supervision. More photos from HSC afterschool! We did some DIY lofting last week, and transferred these small boat designs onto 5' by 10' sheets of plastic, to be folded, origami-like into functional boats! 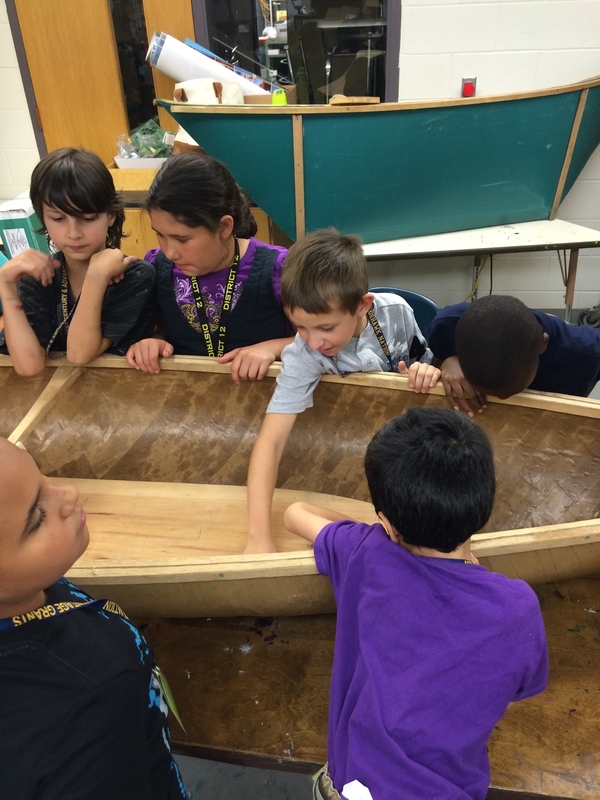 Current Sloop Club After-School Projects! 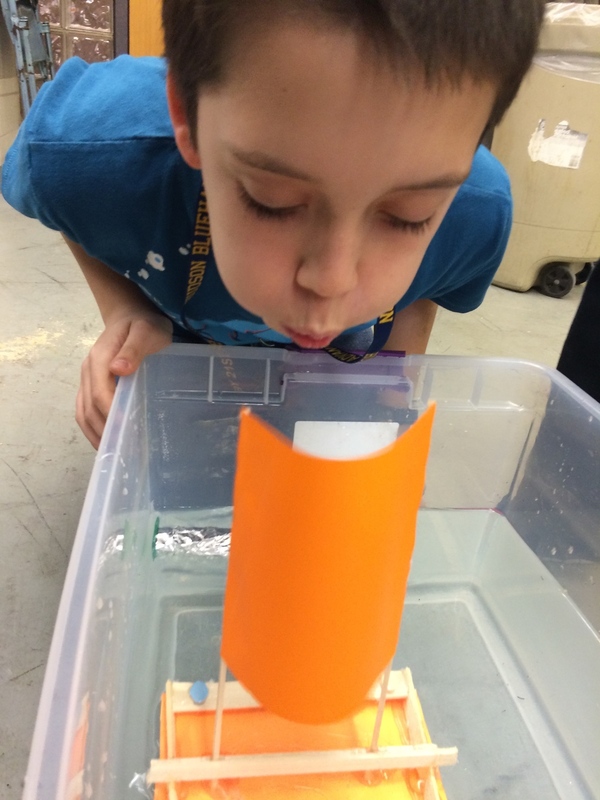 The Sloop Club continues to run a weekly afterschool boat building program at the Hudson Intermediary School and the 5th and 6th graders there have been doing some amazing paper-boat design in preparation for completing their designs full scale in corrugated plastic. Check out some of the educational programming we've been up to at the Hudson Intermediary School. 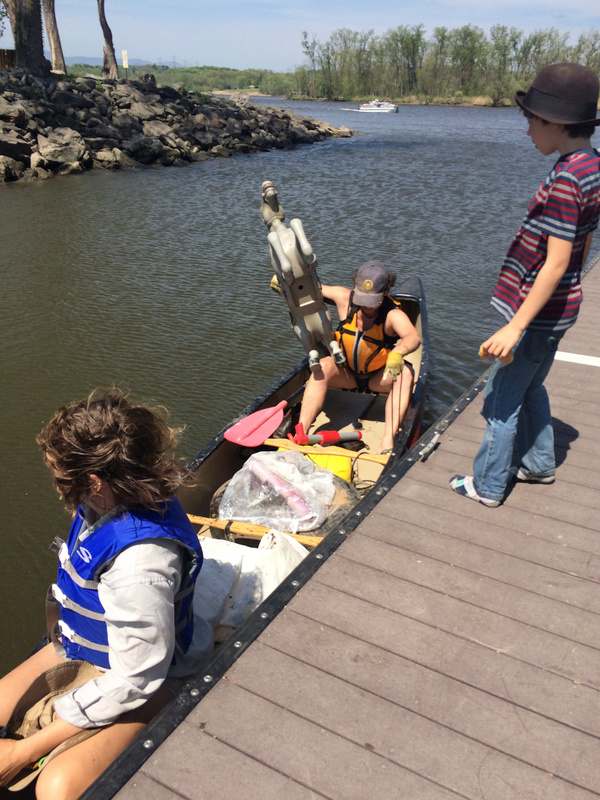 Last Spring a group of 6th graders build this wooden punt and launched it at Oakdale (see video!). 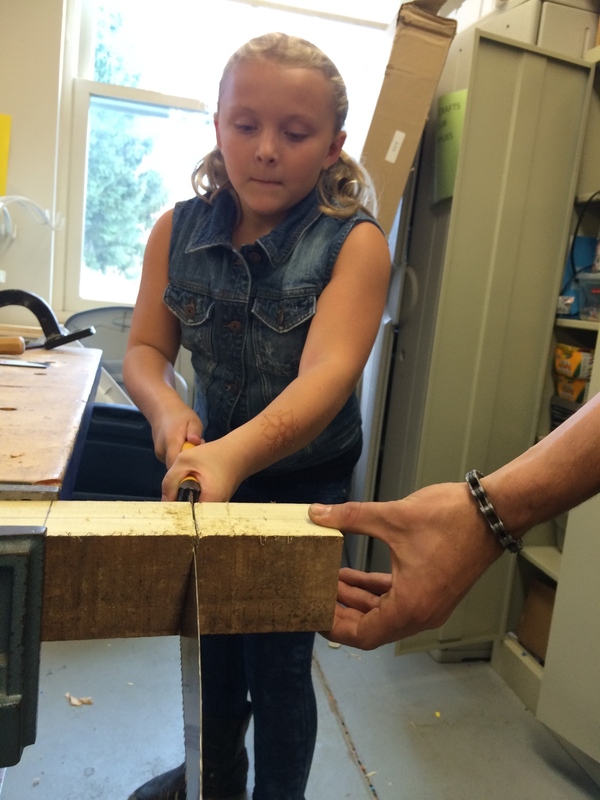 This Fall, a group of younger students, aged 7-10 have been developing their woodworking skills, learning about boats, buoyancy and hydrodynamics. Join Riverkeeper’s Kate Hudson, Watershed Program Director and Scenic Hudson for a presentation about the risks of crude oil transportation in the Hudson Valley on July 9, 2014. This presentation is being co-hosted by the Hudson Sloop Club and is made possible by the generosity of our venue host, Basilica Hudson. The event is free, and the public is encouraged to attend. Background: Until recently, there was little or no crude oil transported in the Hudson Valley. The growth of oil production in North Dakota and elsewhere has spurred industry to make the Hudson Valley into an international conduit for crude oil. Up to 5 billion gallons of crude oil is being transported through the Hudson Valley annually by train, barge and ship. All three transportation methods – what is being called by industry a “virtual pipeline” – could affect our communities and environmental resources. Spills, explosions and fires—some resulting in the catastrophic loss of life—have occurred elsewhere on this virtual pipeline. Further, proposed Hudson River oil facility expansions and the proposed development of a regional pipeline could increase the transport of crude oil locally by as much as 3.8 billion gallons annually. May 16, 2014 from 5-7pm at Rick's Point on the Hudson Waterfront! Bring a boat, a fishing rod and a dish if you wish! Come kick off the 2014 season with the Hudson Sloop Club! A Sloop Club Dream of the Waterfront! A beautiful new rendering by our own Cara Turrett incorporating many of our ideas for a community oriented Hudson waterfront . Kayak shack for secure public boat storage on Ricks point.